A little while back there was a rather bad piece of fan fiction posted on the forum. It didn’t have very much to commend it, but it started with the idea of somebody in an ordinary domestic situation, in a drawing room, and then unusual things started to happen. And I thought that this was the basis for a story opening. This story, which begins quietly with the simple domestic scene of Ianto and Alun going to Sunday tea with Ianto’s mum, was one interpretation of that idea. Ianto’s family background has never really been filled in on TV. There was one small clue – that his father was a master tailor – in the episode Something Borrowed. The rest, I had to make up. I mentioned several stories back, in ‘The Obvious Suspect’ that Ianto came from a small village outside Cardiff, that his mother was a stereo-typical chapel going Welsh mum, but had, nonetheless, accepted Alun as Ianto’s life partner, mainly because Alun was so charming and handsome that he totally won her over. Nothing in the TV series contradicts my background for him except Jack’s profile of him in Fragments which had him as a bit of a waster who didn’t know what he wanted to do with his life. That actually didn’t sound at all like Ianto, who is an exceptionally bright man with a very good memory and a good understanding of technology, administration, car maintenance, and just about everything involved in the running of Torchwood. I think my profile, a country boy who wanted to stretch himself, who was the first of his family to go to university and who needed an outlet for his obvious intellect and abilities, is closer to it. I mentioned that his father was dead in a previous story, Sabrina, when Ianto talked about him as a man with a great memory and a fondness for learning – both of which Ianto inherited – and who died after suffering from Alzheimer’s. That scene looked like padding in that story, and it was, to some extend. But I had in mind at the time some kind of story in which Ianto’s dad was significant. It is a little bit like the reason Dickens gives for opening A Christmas Carol with ‘Marley was dead…’. It had to be clear in the reader’s mind that Ianto’s dad is dead, so that the wedding photograph with him in it is quite clearly and obviously something out of the ordinary and needing Torchwood’s attention. Likewise, when Beth tells Jack that she spent the weekend with her brother, it should raise a flag in the reader’s memory, because her brother is dead. If it doesn’t, then it is explained later, of course. But first we have the sad tale of Gwen and her dog, which was put in essentially to give a slightly less tragic story than the others. Of course, Gwen loved her dog, but it died of natural causes and her tears were mostly just sentimentality, whereas Beth was truly traumatised by her experience. 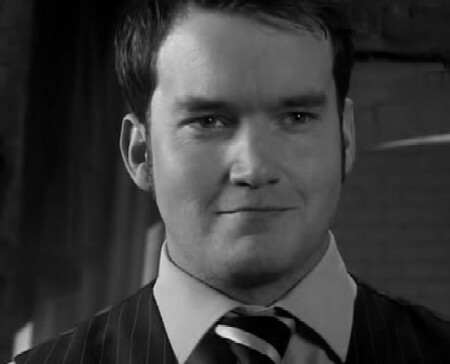 Having said that Ianto’s backstory in fragments is off the mark, Owen’s story actually made perfect sense and fitted him to a T. It explains why he gave up being a hospital doctor, why he is rather hedonistic in his personal relationships, even why he was so totally hurt when Diane left him. Using Katie as his impossible memory fitted perfectly. I needed one more person to be affected, preferably outside of Torchwood, so that it could be seen as something that happened beyond the Hub, but at the same time somebody who could be pinpointed as being at the wedding. Kathy Swanson was perfect. I also wanted a different piece of evidence than more photographs. The parachute regiment badge came to mind because I actually do have one as a gift from my partner, and it is the sort of thing you would treasure. We know nothing about Kathy’s background, but I have assumed she is single. There is no reason why she should be, but it suited the purpose of this story. Of course, this was a ‘false memories’ kind of storyline a bit like Adam, but clearly there was no evil purpose in making Mrs Jones think that her husband had come back as an angel to be at their son’s wedding, and the randomness of the episodes also pointed to it being accidental. The key, of course, was the wedding, and it was a case of Torchwood brains working together to figure out that it was something to do with the taxi driver who had taken all of the affected people home after the wedding. After that the plot was relatively simple. The driver was a Human being who had fallen through the rift from a universe just slightly different from ours – where some people were alive who aren’t in ours – and where he, himself, had a life. 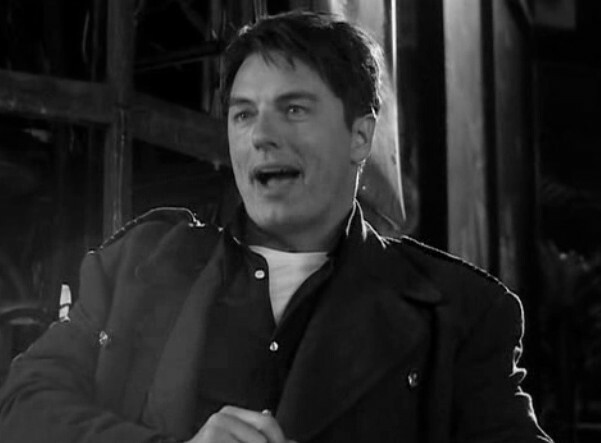 The solution – to keep him at Torchwood until the rift opened in the right way again and send him back. Some readers commented that it was all a little too straightforward in the end. But really the story wasn’t about him, it was about what he had accidentally done to all the other people. It really didn’t need a lot of detail there. I did consider a scene where he tried to run for it at the taxi office. But actually, keeping it simple, with just two scenes – Ianto’s mum’s house – and the Hub, was probably more aesthetically pleasing in the end. Somebody on the forum said that Seepage sounded a daft title, before it was actually posted. I couldn’t think of a better title. I don’t think it matters. It makes as much sense as Fragments or Adrift, which did for the TV series.